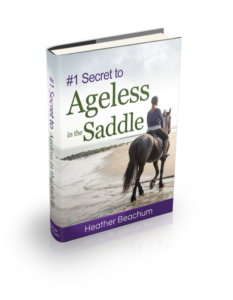 The life of a woman horseback rider is an enormously enriching one, but is fraught with complexities. 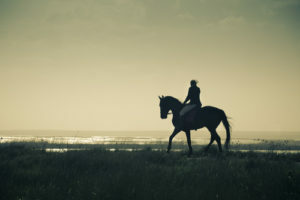 We embrace the challenges of developing our skills to ride with joy and a wonderful connection to our horse. Yet the fearless rider of our youth is now a sensible woman in a different body. Also, the horse industry isn’t for the faint of heart as we are more often than not spoken to like we’re in the first grade or with a “write the check and do what you are told,” attitude. Yet we carry on, because horses are in our soul, and a life without a horse just isn’t really a life. ...and to support you more fully I invite you to join my online group created for women riders 40+ years young who love their horse madly! We are more than just muscle and determination, we are more than just grit and tenacity, we are our sensitivity and intelligence, and these are the ingredients brought into play in this group to enrich us as riders, and the life we share with our horse. The intention of this group is to create a supportive, fun community for us to gain knowledge about our riding and horses that we can call our own. Every offering is designed to nurture an independent mind to go with an independent seat. This is the place where it is easiest to reach me, and connect with like-minded lady riders from all around the world.